No, the title’s not a typo. Tu B’Av is the day when, in ancient times, all the Jewish girls went out into the fields and pranced around in white. The boys then danced with the girls with the hope that they may find a mate. It is the fifteenth day of the Hebrew month of Av. It falls six days after the very somber remembrance of Tisha B’Av, when the Temples of Jerusalem were destroyed, and a month and a half before Rosh Hashanah. We need our celebrations of love just as much as any other religion. Luckily for this single girl in Jewish Boston, this past Sunday offered quite a few options around the Boston area to wear white and go and dance in the fields. Well, not literally. The first event was at Temple Reyim starting at ten and going until noon. Sadly, it was rather early in the morning for people closer to my age to find themselves awake and in the middle of Newton. Therefore, it was a wonderful singles event for those on the higher side of the age spectrum. It opened with a chance to brunch and schmooze, which we did, waiting for the program to start. Many of the people I met said their reasons for coming to the event were much the same as my own: a chance to socialize with others of the same religion, and perhaps make a connection or two. The opening act was a group of four women calling themselves Shir Divas. Appropriately for the holiday, they sang three love songs in different languages from the Jewish world: Ladino (a mixture of Spanish and Hebrew), Yiddish (a mixture of German and Hebrew), and Hebrew. People sat transfixed as the ladies sang, clapping heartily after each song. Then it was on to the main speaker, Debra Band, a woman who designs and creates Ketubot (marriage contracts). 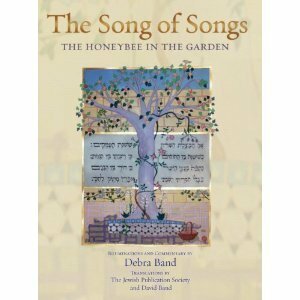 Her work is beautiful, and she spoke about her book illuminating the Song of Songs. Though her presentation was exceedingly in depth, it was a Sunday morning. I’ll admit that given the day, and the fact that I was headed to yet another event that night, I decided to take my leave after only an hour. That night, parked illegally, I took a twenty out of the ATM and promptly dropped it somewhere in Porter Square. Realizing this as I made my way to the event at the Tremont Street Shul — it’s a pattern — did not bode well for the rest of the night. Still as I made my way into the sanctuary, the whole environment felt warm and welcoming, the same feeling that I’d had the last time I’d been there. Downstairs there was music and people, everyone hoping to meet someone. Questions were distributed to help start conversations. Favorite TV shows were brought up from time to time, along with questions about jobs, and who worked where. This event was much more in the social bent. No one performed, unless you counted the people who brought up the courage to speak with others they didn’t know. The evening wore on, and though the event officially ended at ten, a lot of people stuck around, not just for the left-over pizza, but to help clean up and talk. Though the twenty has remained lost, the night was a success, in that I had plenty of time to chat with others and generally feel comfortable within the community.